Most forms of gambling are legal and regulated, therefore, you can find many bingo halls, sports books, and casinos in Panama. Panama is also a recognised online gambling jurisdiction. Panama, officially called the Republic of Panama, is a Central American country. It is bordered by Costa Rica to the west, Colombia to the southeast, the Caribbean to the north and the Pacific Ocean to the south. The capital and largest city is Panama City, the metropolitan area of which is home to nearly half of the country’s population of 3.9 million. Panama has very liberal gambling regulations, which applies to online gambling as well. Legally operating brick and mortar casinos, bingo halls and betting shops are abundant in the country. However, in order to receive a license from Panamanian authorities, these venues must reportedly adhere to strict rules and standards. Through most of the 20th century, only the government was allowed to operate casinos in Panama. It was only in 1997 that the country opened the door to private operations. This gave a huge boost to the Panamanian casino industry. In Panama, lottery is also legal and has been legal for pretty much the whole 20th century since 1903 when the country gained its independence from Colombia. All gambling in the country is controlled and licensed by the Gaming Commission (Junta de Control de Juegos), which is a part of the Ministry of Economy and Finance. Panama is also a recognised online casino licensing jurisdiction. However, it is reported, that the licensing is conducted in a rather laissez-faire manner and online casinos registered in Panama are not strictly audited. Basically, all operators that have the money to pay the fees and don’t do anything conspicuous or illegal can obtain and maintain their Panamanian license. Therefore, the reputability of Panama licensed online casinos and gambling sites can vary greatly. Panamanian players are free to gamble on foreign online gambling platforms and they’re not restricted from using the sites of locally licensed operators either. Casinos are legal in Panama. Such venues are regulated and licensed by the Gaming Commission (Junta de Control de Juegos) and must meet strict standards in order to obtain and retain their permit. There are 29 casinos in Panama, 18 of which can be found in the capital, Panama City. However, most of these venues are reportedly slot halls with no table games. Online casinos in Panama are also eligible for a license from the Gaming Commission. The standards these operations must adhere to are, however, not as strict as their land-based counterparts’. Locally licensed online casinos can accept registrations from the country, and Panamanian players can also freely wager on foreign online casinos from Panama. Land based bingo halls are legal and regulated in Panama. Bingo parlors are eligible for a license issued by the Gaming Commission of the country. There are quite a few such venues in the country, with the most of them located in the capital, Panama City. Online bingo sites – as other types of online gambling operations – are eligible for a license in Panama that allows them to offer their services on the international market without much territorial restriction. Players from Panama can choose from locally licensed and foreign bingo platforms and they are free to play bingo on both. Poker is legal and regulated in Panama. Casinos in Panama can operate poker tables under a Panamanian casino license. However, many casinos in Panama are more like slot halls with no table games. For a game of poker, one must visit one of the larger venues. Online poker in Panama is legal and operators are eligible for a license from the Panamanian authorities. Online gambling sites with a license from Panama reportedly do not have to adhere to as stringent criteria, as their counterparts licensed in first-class gambling jurisdictions, such as Malta, Gibraltar or the Channel Islands. Nevertheless, there are fair and reputable gambling sites licensed in Panama. 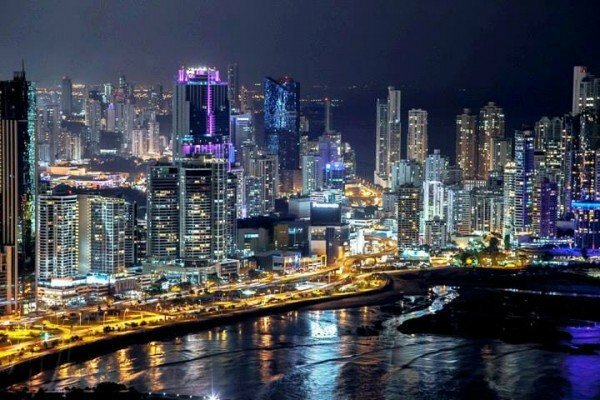 Players from Panama are free to play in locally licensed or foreign poker platforms. Land-based sports betting is legal and regulated in Panama. Just like all other gambling operators, bookmakers can obtain their license from the Gaming Commission of the country. Local authorities also license online sports books that are allowed to offer their services globally from the country. BetOnline is probably the most famous and reputable Panamanian online bookmaker firm. Panamanian players can legally place bets with both locally licensed and overseas sports betting operators. In Panama, lottery is a state monopoly. The state-run company, which conducts the national lottery games is Loteria Nacional de Beneficiencia (LNB). They sell tickets with pre-printed numbers through resellers, who receive a certain percentage of the amount won by tickets they sold. The Panama lottery stroke a deal with Scientific Games last year to launch its first online lottery product. However, the system is not yet live. Panama does not license online lottery companies, but there are no laws that would prohibit players from the country from participating in foreign lottery draws through the internet. There are no specific regulations pertaining to bitcoin gambling and bitcoin casinos in Panama. However, it is reported, that some Bitcoin casinos are registered in the country. One of these is Bitcoin Rush, which is indeed located in Panama, however, there is no indication on its website, that it possesses a Panamanian license (if they did, they would surely display it as the few bitcoin casinos that actually have a license are always happy to brag about it). It seems to be the case, that bitcoin gambling operations do not fall under the scope of the 2002 online gambling act, therefore, they do not currently need a license to operate in Panama. However, official sources provide no information regarding bitcoin gambling in Panama. Local players are not restricted to wager on neither locally based nor offshore bitcoin gambling platforms or casinos in Panama. An overview of the legal status of online and offline gambling and casinos in Panama.